Shubh Labh yantra is a combined Yantra of Lakshmi and Ganesh and is called Maha Yantra. 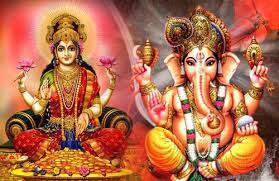 Through Lord Ganesh one attains Siddhi and through Goddess lakshmi one is blesses with wealth. It can be placed in puja Ghar, in cash box, Almirah . It is energised by reciting its Beej mantra 1008 times and also the homa is performed with 108 mantras. It is very auspicious and is a combined Yantra for worship of Goddess Laxmi & Lord Ganesha. Goddess Laxmi is the Goddess of wealth & prosperity & Lord Ganesha, the God of success in any venture. Hence the name denotes, is a Yantra for good luck, fame, wealth and increase in income & profits. It is highly recommended that every home shall install it for the blessings of Lord Ganesha and Goddess Lakshmi. It would not only open the doors of your destiny but would also bless you with all happiness and prosperity. It is a tested yantra, Keep it in your home or in you purse on any rising moon Sunday, you would be crowned with Success. Businessmen or Shop Keepers shall keep it in their offices or shops to increase their sales.